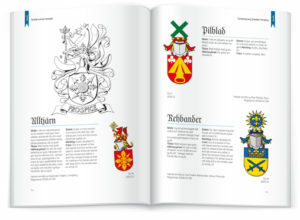 Heraldry in Sweden from the middle ages to the 21:st century. In the house of nobles, created in 1626, the nobility was divided into three classes; The Master classes: Counts and Viscounts, being members of the council and with hereditary titles; The Knights class (descendents of counsellors before 1626) and the Svenne class (lower nobility). Herein every family had one vote and was represented by its head of family. Decisions were made class-wise. The higher nobles were of course guaranteed decisive influence. During the 14th century it was decided that no man could be considered a noble unless through birth or by royal act of mercy. It was also crucial that they married within their class so that the land would not be returned to the crown. If a nobleman was not able to, due to lack of resources, fulfil his duties as a knight in service to the king, he had to give his land away to one of his peers. The peerage also had to prove their noble state, their coat of arms and present their letters patent at several occasions. Through the statutes of the house of nobles the legal grounds for nobility was established. It stated that a true noble is one who: was born by a Swedish or Finnish noble father or by a foreign noble man, who is settled in the country and are married to a Swedish noble woman, as well as a commoner who had been granted noble status and arms, as well as a noble foreigner that had, by the grace of the king, been naturalized. As mentioned earlier, the nobility were originally divided into three classes. These classes were changed in 1719 when the knight’s class was abolished. The three classes became one until the reign of King Gustav III (1746-1792), although the difference in rank did not expire. The need for distinction between the classes led to a clear system in the mid 17th century. Counts wore three barred helmets, each with a counts coronet instead of a wreath. Viscounts wore two barred helmets with viscounts coronets and on top of the shield between the two helmets a coronet were placed. The shield stood upon a compartment and had two supporters. It was almost always quartered with a heart shield, like an inescutcheon, showing the family coat of arms. The quartering showed often other family, province or new symbolic arms. Only counts and viscounts could and can use these achievements. Untitled nobility wore one barred helmet and a coronet for untitled nobility. The only difference between nobles and burghers arms is the exclusive use of the barred helmet with a necklace. King Gustav III recreated the older form of division in 1778. New knights were men of nobility who had received the rank of commander of one of the three orders of the state. However, this system lasted only a short period and was replaced in 1809 after a palace revolution resulting in the abdication of King Gustav IV. With the abdication a new constitution came. The so-called §37 proclaimed that only the head of the family was to be regarded as a nobleman. The descendents were regarded as commoners but had the right to bear the new arms granted but without symbols of rank. The family had of course its natural place at the house of nobility. The constitution did not affect the older nobility whose members are all regarded as nobles with full right to symbols of rank. The new §37 constitution also abolished the privileges of the three classes although the titles were granted. The last person to receive a charter of nobility was the explorer Sven Hedin who received his in 1902, more than a hundred years ago. And this will most likely be the last Swede ever. In 1974 the new constitution proclaimed that no person can be granted nobility nor receive the orders of the state. The house of nobility lost their last privileges and political influences in 2003 and is today considered an exclusive society for nobles. The first known heraldic achievements in Sweden is dated 1219 and depicts the arms of the two brothers Sigtrygg and Lars Bengtsson of the Boberg family. The seal shows two identical arms and the Latin text in the document reefers to them as “Dominus” and although they are not related to the royal family they definitely belong to the aristocracy. Some thirty years after these arms appears, there are a dozen other that are known to us today. They belong to one king, a couple of chief judges, one Jarl (from where the English title Earl originates) and one constable. The main part of the aristocracy during this period came from the southwestern parts of Sweden, close to Denmark and Norway. They were probably the main source of influence as well as other ideas of the Middle Ages during this period. With the decree known as the “Alsnö stadga” king Magnus Ladulås (1275-1290) gave tax-exemptions to anyone who were in lieu of knight service. 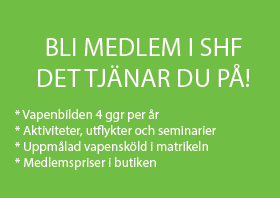 This is the first step towards nobility in Sweden. Any commoner who showed up at the annual visitation with sword and shield on a charger were freed from taxes. At this time the first document with the title knight emerges. Less than some 500 knights are known from 1278 to 1521. 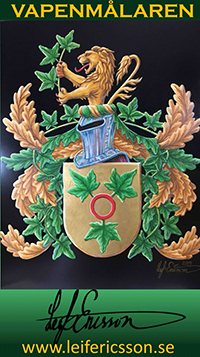 From the 13th century there are only arms of the high nobility that are known to us and in the early 14th century the lower nobilities starts using heraldic achievements. Worth pointing out is the fact that this is during the same period that burghers and priests begin using arms. Although there is very poor knowledge of tournaments in Sweden, we do know that they took place from the mid 13th century, less which took part and there are no recollection of any heralds at all. Minstrels are frequently mentioned in 14th century chronicles and they might have had the same duties as the English 13th century heralds. There is only one herald known to us and his name was Simon and was probably introduced between 1416 and 1418. Before this period charters of nobility never included coats of arms as they always did after this period and onwards if the nobleman were given hereditary tax-exempt. 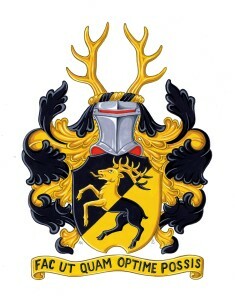 As the higher nobility adopted their own coats of arms there are only the members of the lower nobilities that were granted charters including arms. The first known charter depicting a coat of arms are dated 1420. We also know that several of the older low nobilities changed their arms during the 15th century. Civic arms are known since 1247 for the city arms of Kalmar. 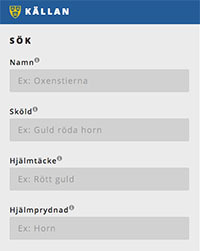 Soon after we can find arms for the cities of Stockholm, Skara and Örebro in numerous documents. In 1320 the Stockholm merchant Henrik Sunedach, a German, signs a document with his heraldic seal. This is the first known arms used by someone who is not a noble or a man-at-arms. This tradition with arms among the merchants in Sweden comes from the Hansa trade. Soon after priests begun using arms. The use of heraldic achievements was common among the non-noble officers, judges and priests during the 16th and 17th century while the merchants tended to give up the tradition of heraldic seals and replace them with owner’s marks. The nobility tried to protect their privileges and rights to granted coats of arms during the late 17th and 18th century. The political scene was totally dominated by the nobility and their strife to ban commoner’s use of arms ended in a compromise in 1767. 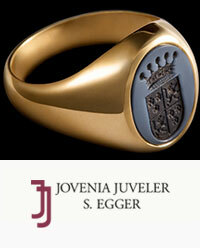 This meant that the nobility cemented the right to the barred, or open, helmet, coronets and shield supporters. 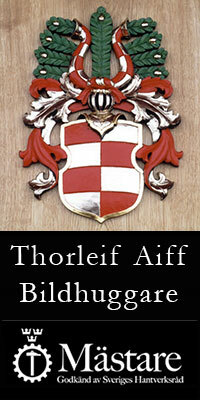 In the Town law of 1730 it stated that burgher arms are accepted since they are not forbidden. 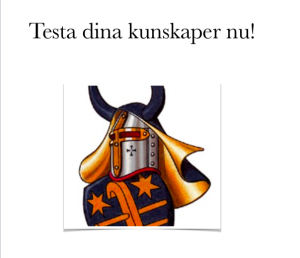 The burgher arms consists of one (only) tilting, or closed, helmet (without a necklace) and a shield. A wreath and crest must be placed on the helmet and a motto or war cry can be used. No coronets are allowed.